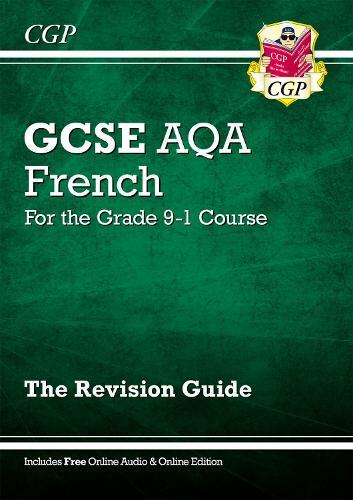 This CGP Revision Guide explains the entire AQA Grade 9-1 GCSE French course, including all the vocabulary and grammar students will need to master for each topic. There are also exam-style practice questions on almost every page, covering reading, writing, speaking and listening - with free audio files available from the CGP website. The book is rounded off with a section of exam advice and useful vocab lists for each topic. For even more AQA GCSE French exam preparation, a matching CGP Exam Practice Workbook (9781782945383) is also available.